In Empordà–well not exactly Empordà as it actually crosses in to Gironès as well–there is a winery called, Pago Diana. 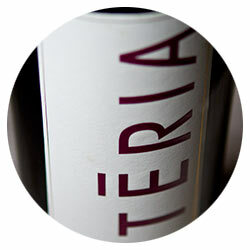 Not part of the DO Empordà due to geographic situation as well as grape choices, they make very different wines than the rest of their neighbors a little to the north. It’s a very nice setting just outside the village of Sant Jordi Desvalls where the River Ter passes near. It’s from this river that their top end wine takes its name. Slight watercress and spices with a light, well balanced body that shows goes acidity in to the finish in a style more like Rhône than Empordà.